Famed aviator Bruce Gentry is working with scientist Andrew Benson, setting out to uncover the origin of a deadly secret weapon—an electronically controlled flying disc. Based on the Bruce Gentry comic strip created by Ray Bailey, it probably included the first cinematic appearance of a flying saucer. 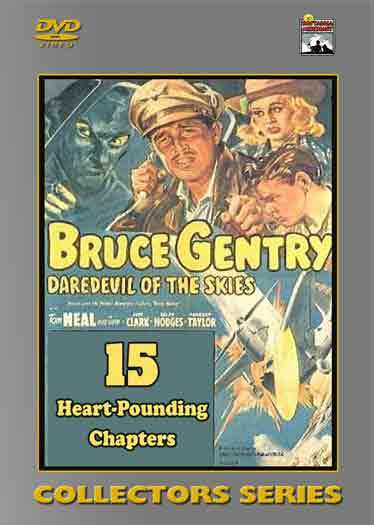 2 DVD Set – 15 Chapters (1949).